PHOENIX – The Arizona Game and Fish Department now is accepting online applications for 2018 hunt permit-tags issued through the draw process for pronghorn antelope and elk. 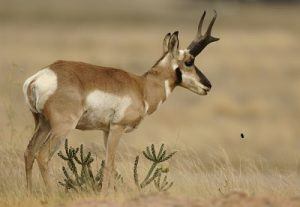 To apply online, visit https://draw.azgfd.gov and scroll down to “Apply for a Draw.” For an overview of the online application service, including license requirements, applying for bonus points and payment information, see Page 10 of the “2018 Pronghorn Antelope and Elk Hunt Draw Information” booklet. Printed booklets also are available at all Game and Fish offices and license dealers statewide. Online applications must be received no later than 11:59 p.m. (Arizona time) Tuesday, Feb. 13, 2018. Paper applications can be mailed to: Arizona Game and Fish Department, Attn. : Drawing Section, P.O. Box 74020, Phoenix, AZ 85087-1052, or dropped off at any regional office statewide. The department encourages all applicants to sign up for a free AZGFD portal account and apply online. The portal allows customers to create a secure account where they can manage and view their draw applications, license history, bonus points, gain access to their “I Support Wildlife” membership and more in the “My AZGFD Dashboard” section. A portal account also provides convenient access to the online license purchase and draw application systems. Draw results will be posted to portal accounts.